A strengthened focus on channel partners and the capitalisation of recent technology acquisitions will fuel a redoubled assault on the Asia-Pacific endpoint security market as Webroot's newly appointed APAC regional managing director, Robbie Upcroft, settles into his new role as steward of an ever-harder battle against the growing tide of malware actors. It's a role he has been preparing for through previous successful channel-building engagements with the likes of Microsoft and McAfee, but as he steps back into an increasingly rapidly-moving security environment Upcroft will be pushing hard to capitalise upon the expertise of the channel network that he has been charged with developing. Years of focus on the small and medium business (SMB) market had already given Webroot a strong support infrastructure within the Asia-Pacific region, with Australia in particular a focal point for a skill set that included foreign-language support and technical remediation, supported by a range of highly automated back-end processes. Building on this infrastructure would allow Webroot to look towards larger engagements, expanding its focus and building on its SMB market success, says product marketing manager George Anderson. With the company's technology proven, a major focus in the US going forward will be extending this technology into the enterprise space – where Webroot will offer managed service providers (MSPs) a “very different” range of tools and services from what it has delivered to SMBs. The additional services will increasingly integrate the fruits of Webroot acquisitions including security company ESS, cloud-based anti-malware provider Prevx and content classification provider BrightCloud – all of which have facilitated the company's move into cloud-based threat intelligence. Expanding the company's security offering in Australia, where Upcroft is based, will see it steadily deepening its SMB focus and expanding its market presence. The company will expand its footprint thanks to an expanded partner network, which will be built with the support of the growing number of MSPs that are integrating well-developed security tools into their offerings. 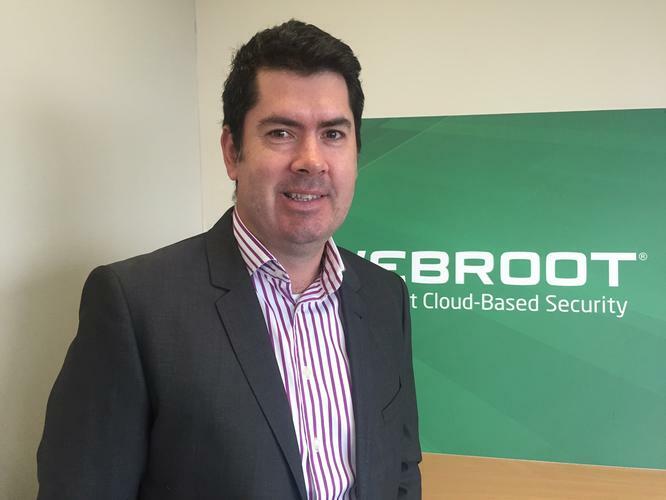 The relatively low administrative cost of Webroot's technology – which uses a small software client that does not require updating, and relies exclusively on interactions with a centralised cloud threat-intelligence repository – would help it appeal to channel partners that are factoring cost issues into their broad security offerings. “It doesn't take many support calls or infections on PCs for channel partners to lose their shirts,” Anderson said.